The Luxury, Is It Worth It? There's a lot of mix feeling when it comes to splurging on luxury. You'll definitely ask yourself if the product is worth the hype and what's so good about it? So for the past year, the penny pincher me finally decided to explore in the world of luxury with skincare. And I wanted to share with you my favourites incase you were looking into them too. This could be quite a pricey one but it's literally the most amazing vitamin for the skin. I use the essence right after cleansing and it's such a great product to prep the skin for the rest of your regimen, gently exfoliates and moderates skin renewal. I've notice an increase in hydration, more even complexion and most importantly my skin doesn't look dull anymore. Words can't describe how much I love this product, most definitely recommend! 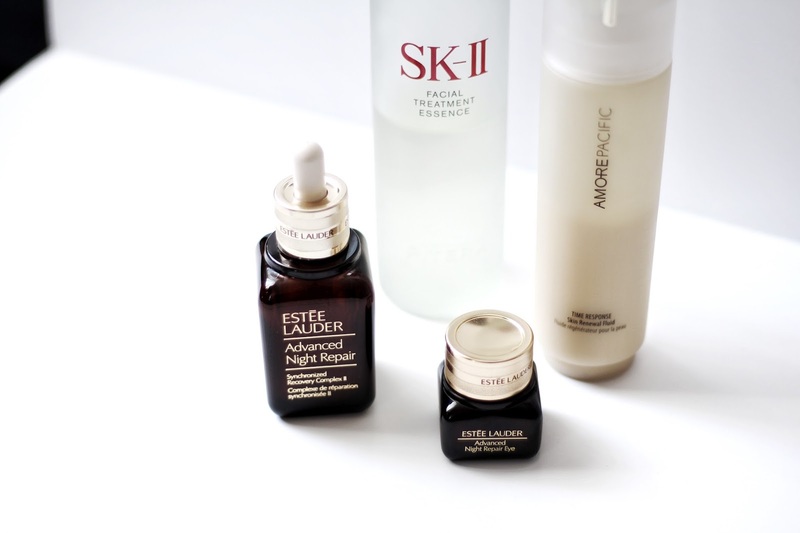 When it comes to skincare, my main concern is to focus on hydration level as my skin is super dry! 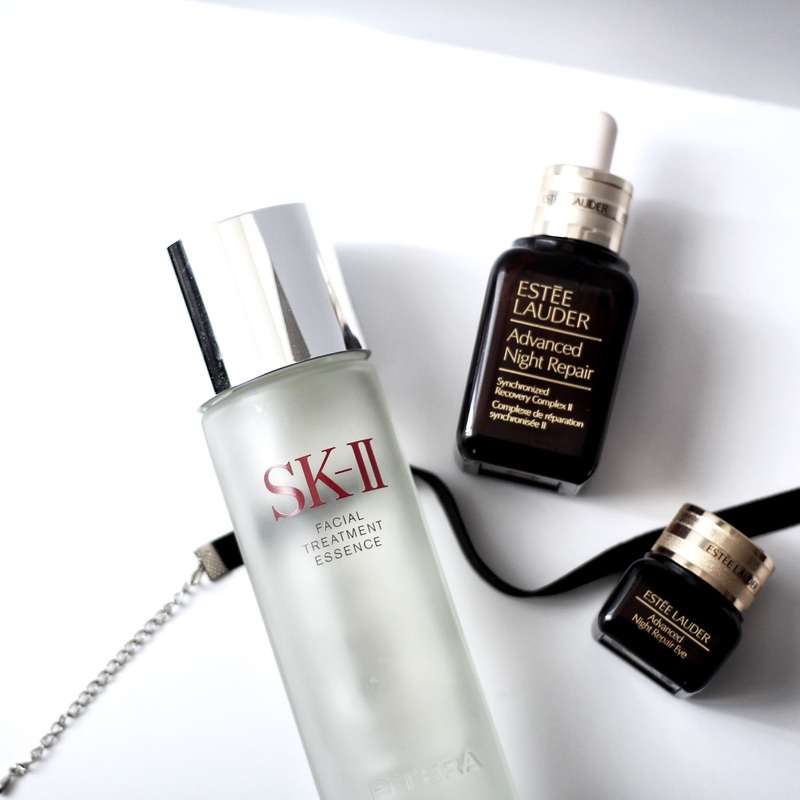 I love using the Estee Lauder Serum + Eye Cream together after the SKII essence because it absorbs so much better and next thing you feel is the velvety soft skin. I swear this combination together makes your skin feel so plump and glow-y amazing! So in the end,"The Luxury, Is It Worth It?" Let me know in the comments below a luxury brand that worked for you.